Travelling The World With Yves Rocher.. If I had to chose one place to buy anything toiletry related, that would be Yves Rocher. I lurve everything they do, I could spend all day and night sniffing through all of their shower stuff. Been there, done that. Plus, they always have very good offers, so what can a girl do? I picked up three shower gels from their “Jardins du Monde” series, which consist of six shower gels with fragrances from around the world. I went for Grapefruit from Florida, Orange Cest from Florida and Green Lemon from Mexico. 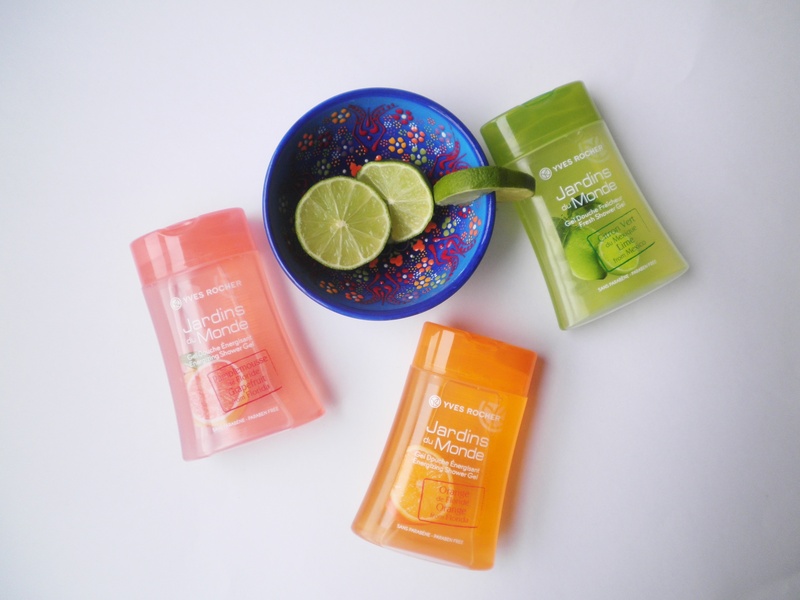 This last two are my absolute favourites, they are great to wake me up on lazy mornings and they smell delicious –I particularly have a bit of a thing for the mexico one as it always makes me want to have a tequila with it.. Honestly, I don’t use anything else on my shower routine. But just because I’m writing this and some Yves Rocher manager might be dragged to this blog, I’ll take this chance to please ask them to take back their coconut and pineapple summer collection, which has always been my favourite of their summer collections and to this day I still own a mini sized shower gel that I keep just for special occasions –more like to sniff it from time to time.. If you haven’t try any of these, what are you waiting for?! Like, seriously..